Community banking is about more than location. It's about family. Commercial Bank resides in your community, we are a part of your community. Our commitment to serve our neighbors extends beyond the walls of our branches. It is displayed each day in the opportunities we provide, the money we give back, and the time we commit- all to help improve the lives of the people, families, and businesses that make this area great. At Commercial Bank, we believe that we can use our resources to share the workload of finding treatments and a cure for diseases that affect nearly everyone in one way or another. We believe in a quiet room, one voice can be heard, but on a larger scale, it takes a chorus of voices. 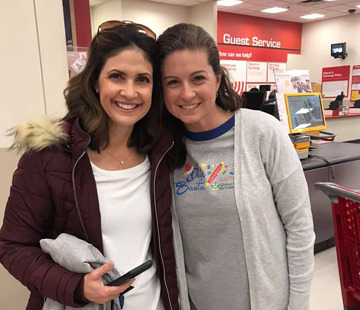 As a result, we have partnered with a number of non-profit organizations to spread awareness through our communities and engage people to help raise money for the causes. Below is a list of companies that Commercial Bank supports through various formats. Kindness Revolution with WWE Superstar "KANE"
Commercial Bank has supported the American Cancer Society Relay For Life with teams in Claiborne County, Tennessee and Knox County, Kentucky for many years. 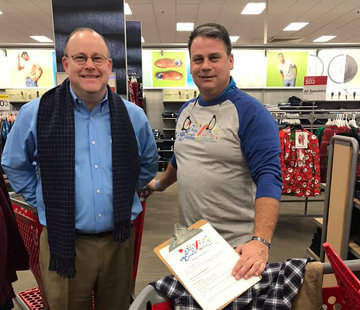 Employees volunteer their time and talents to raise money throughout the year and then participate in the annual event. The fundraisers include tee shirt sales, bake sales, chocolate fest, gift basket raffles, and more. In 2017, we expanded our support as a regional Platinum sponsor for six Relay For Life events in our bank communities - Knox, Cocke, and Claiborne Counties in Tennessee, and Knox, Harlan, and Bell Counties in Kentucky. With the support of our employees and customers, we had a successful Relay season! The total amount donated to the American Cancer Society as they save lives, celebrate lives, and lead the fight was $31,562! 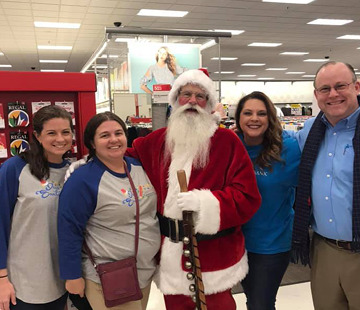 Commercial Bank sponsors the Beth Haynes 12 Days of Christmas Auction in order to raise funds for the Dear Santa program. Through the auction and donations, the Helen Ross McNabb Center is able to provide Christmas gifts to many of the families they serve. 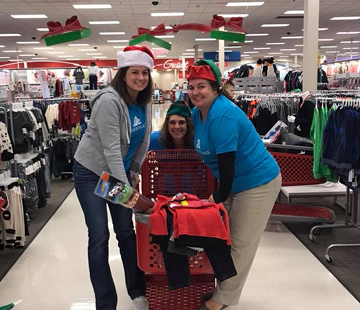 Commercial Bank employees enjoy participating in Elf Shopping with many other volunteers from the community. Commercial Bank has partnered with Crossroads Downtown Parternship and Rose Center to launch the "Heart of Morristown" initiative. The "Heart of Morristown" Kick-off party was a great success! We look forward to sponsoring many local events in 2019! Learn more HERE. Commercial Bank sponsors Alzheimer's Tennessee with sponsorship of their golf tournament. Employees raise money at the Knoxville Branches and participate in the Alzheimer's Walk. A tailgate party at the West Knoxville branch also raised money for Alzheimer's Tennessee. In the Tri-Cities, Commercial Bank is a proud supporter of the American Heart Association and the annual Heart Walk. Commercial Bank is proud to be the presenting sponsor of the Music Feeds Concert Series to benefit Second Harvest. Concerts will be held at the Tennessee Ampitheater throughout the summer. Proceeds from Music Feeds benefit the Food For Kids (backpack) program feeding over 12,500 hungry students in 280 schools Second Harvest's 18 county service area. The Food For Kids program provides 8 items from 4 food groups to hungry students each Friday of the school year to ensure they have something to eat over the weekend. Learn more HERE. Purchase tickets HERE. Commercial Bank sponsored the Celebrity Roast and Toast of Coach Phillip Fulmer in June, 2016 at the Knoxville Convention Center to raise money for Second Harvest Food Bank of East Tennessee. 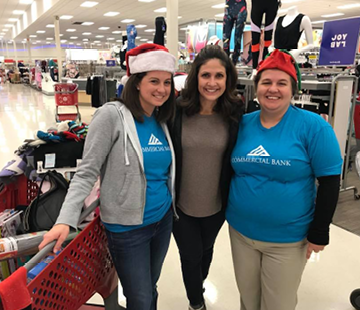 Commercial Bank is proud to be a sponsor of The Kindness Revolution, a not-for-profit (501c6) member-based organization with the mission to raise the awareness of values, such as kindness, in leadership, customer service, schools, and communities. WWE wrestler Kane, otherwise known as Glenn Jacobs, visits local schools to teach students about integrity and character.